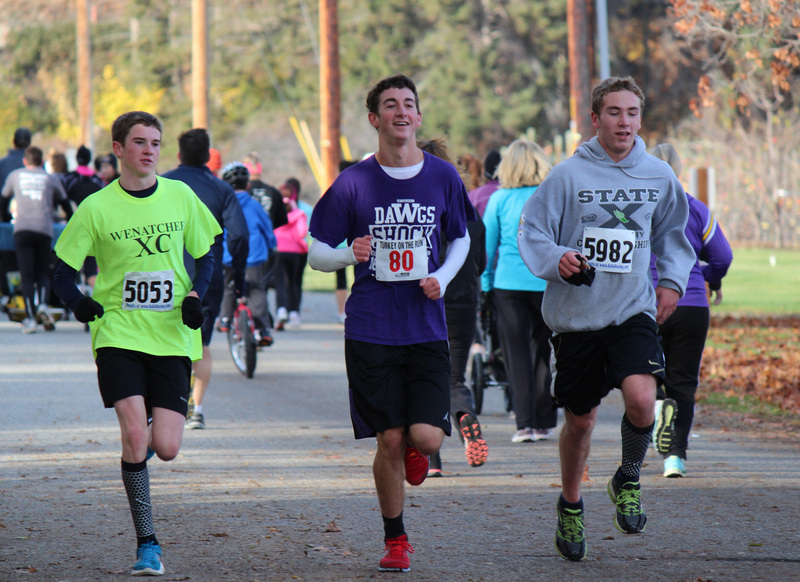 The three leaders in the men's 5K race run in a pack Thursday on Springwater Avenue. John Dunley, center, won the race in 19 minutes and 33 seconds. Cole Christman, left, was second in 19:34, followed by Austen Lane, right, in 19:35. 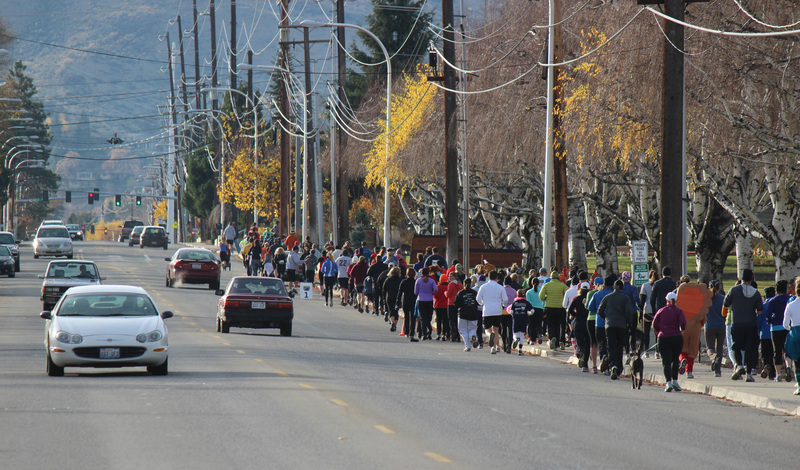 WENATCHEE — About 700 runners and walkers laced up their shoes Thursday morning for Turkey on the Run, and in the process easily set a new participation record for the annual Thanksgiving Day event. The previous mark was established a year ago when 400 participants finished the event’s 5K and 12K races. Marlene Farrell of Leavenworth won the women's 12K race in 47:34. 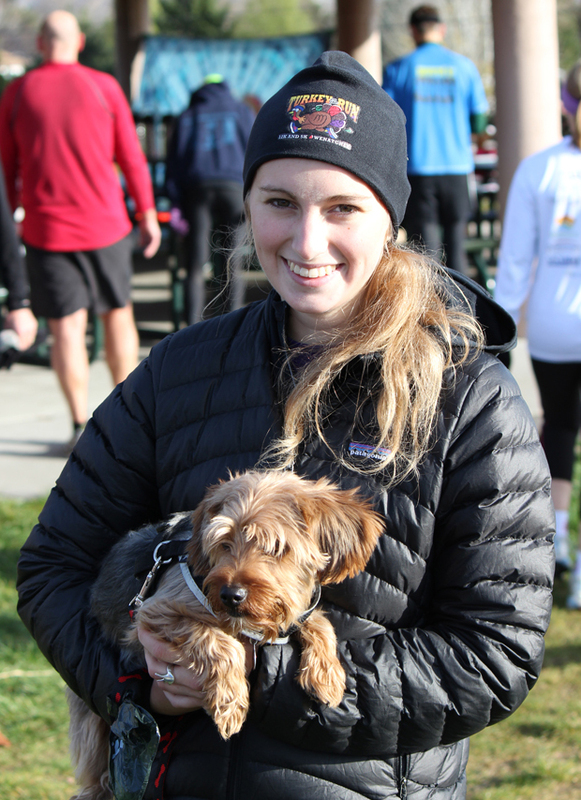 There were plenty of reasons to take part in the fifth-annual running of the race, chief among them nice late fall weather and the chance to support a good cause, the Women’s Resource Center of NCW. Shortly after the start at Rotary Park, a steady stream of runners could be seen stretching for blocks along Western Avenue. Marcell McArthur, 38, of Wenatchee, cruised to the men’s 12K championship in a time of 45:23, with Drew VanPolen, 17, second in 46:28. 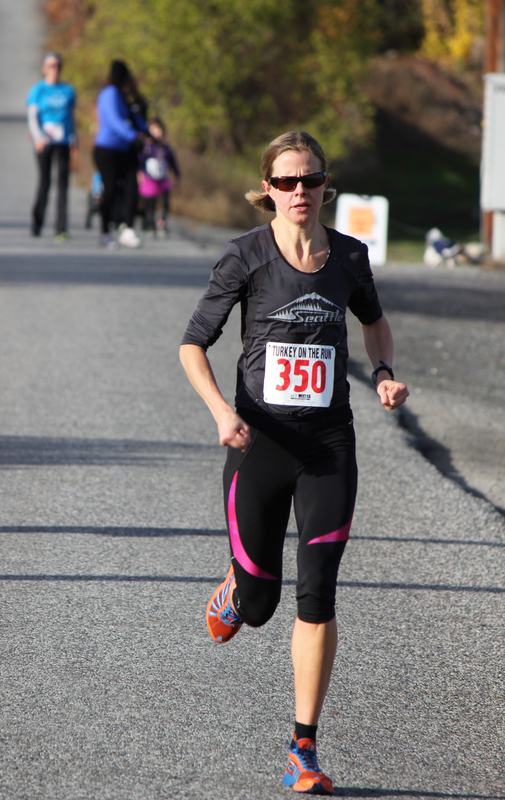 Leavenworth’s Marlene Farrell, 37, captured the women’s 12K in 47.34. Selina Danko, 43, came in second in 51.29. In the 5K race, Wenatchee’s John Dunley, 18, collected the men’s title in 19:33, edging out Cole Christman, 16, 19:34, and Austen Lane, 15, 19:35. On the women’s side, Wenatchee’s Emily Nordt, 18, clocked 20.55 to come out on top. Meghan Johnson, 16, was second in 24:06. 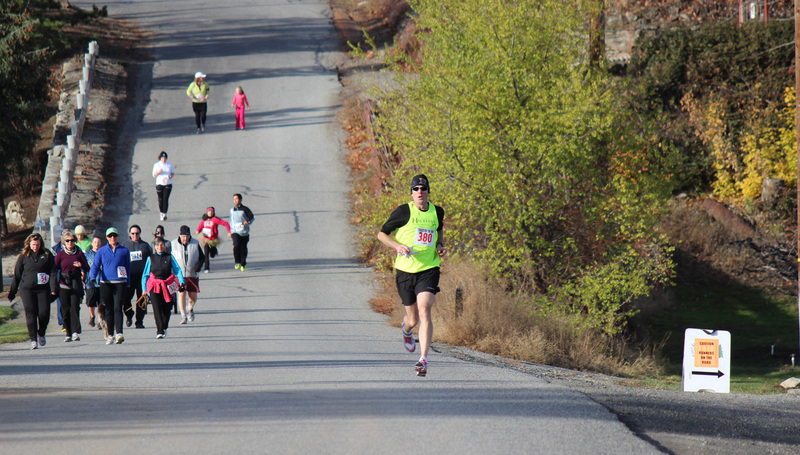 From Rotary Park, 12K runners traverse Western Avenue, Springwater Avenue, Woodward Drive, Fifth Street, before reaching the end of Number One Canyon Road, and then returning to the park. The 5K course follows the 12K course except participants turn around at Woodward and Fifth and return to the park. This year’s race drew participants from around the state — many here in town for the holiday — and as far away as Texas. 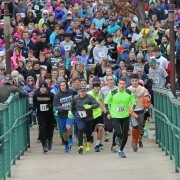 Turkey on the Run had just 100 runners and walkers its first year. But it has grown significantly the past couple years, from 220 in 2010 to 400 in 2011 and finally to the 700 who showed up Thursday. 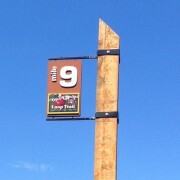 That was the number who participated. The number who registered was slightly higher. This Girls on the Run volunteer came in style! This year’s event also showcased 25 local elementary school girls who are part of the national Girls on the Run program, which aims to boost the self-esteem and fitness level of girls. Each of the girls were accompanied by an adult running buddy and each successfully completed their first-ever 5K. The program is overseen by Marlen Mendez of Columbia Valley Community Health in Wenatchee. Along the course, spectators were spotted cheering the girls on. 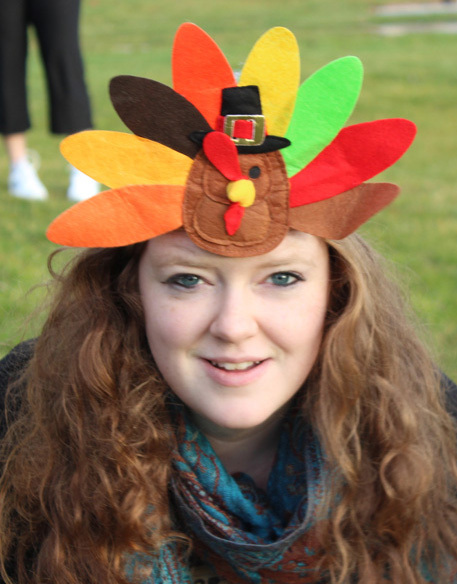 “They had a ball,” said Michele Rhyner, who also helps organize Turkey on the Run. Presenting sponsors this year were Black Diamond Sports Therapy and SET Coaching. Team Reliv also served as a sponsor, providing energy drink. Two other local businesses, Wenatchee Valley Medical Center and Libke Insurance, helped pick up the costs of the Girls on the Run program. Steve Maher is a partner in RunWenatchee, along with Joel and Michele Rhyner. 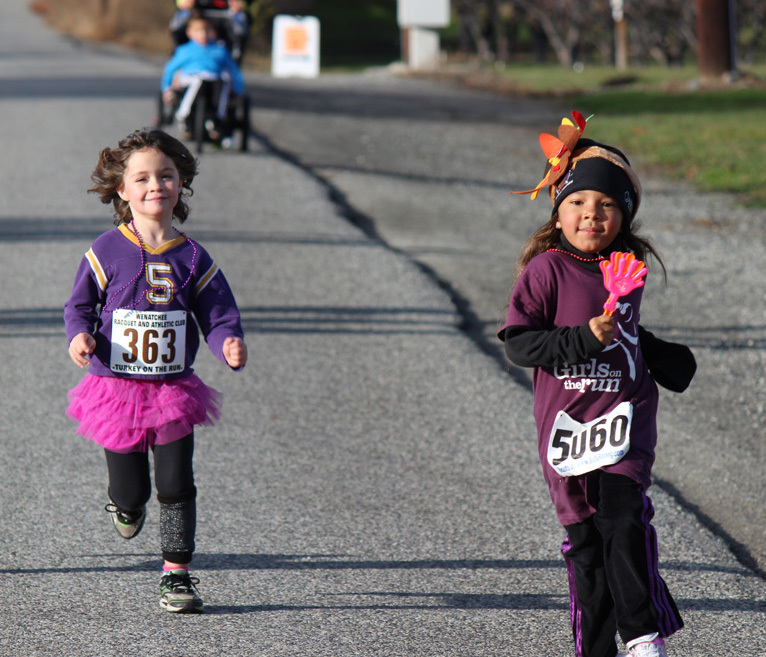 Kids and families were everywhere along the Turkey on the Run race course. 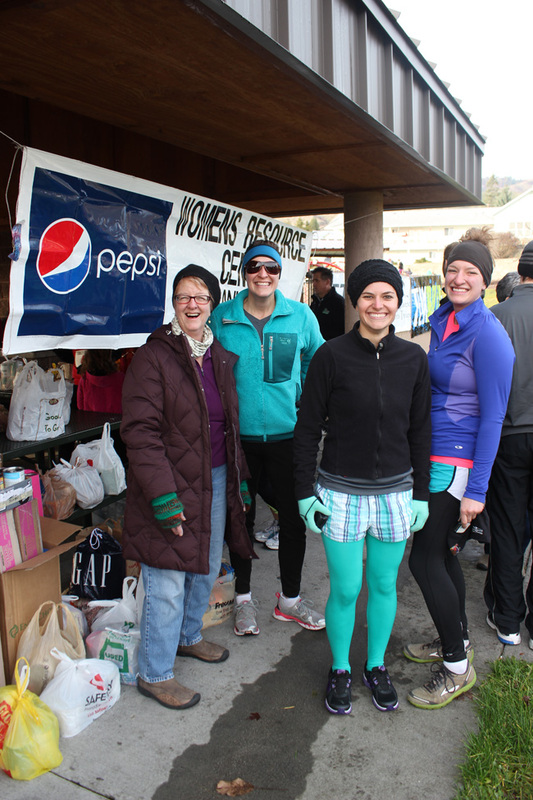 The Women's Resource Center and its volunteers took away boxes and boxes of food donated by runners. Runners and walkers stretched for blocks along Western Avenue after leaving Rotary Park. 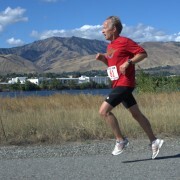 Wenatchee's Marcell McArthur nears the home stretch on the way to his 12K men's title. McArthur ran it in 45:23. 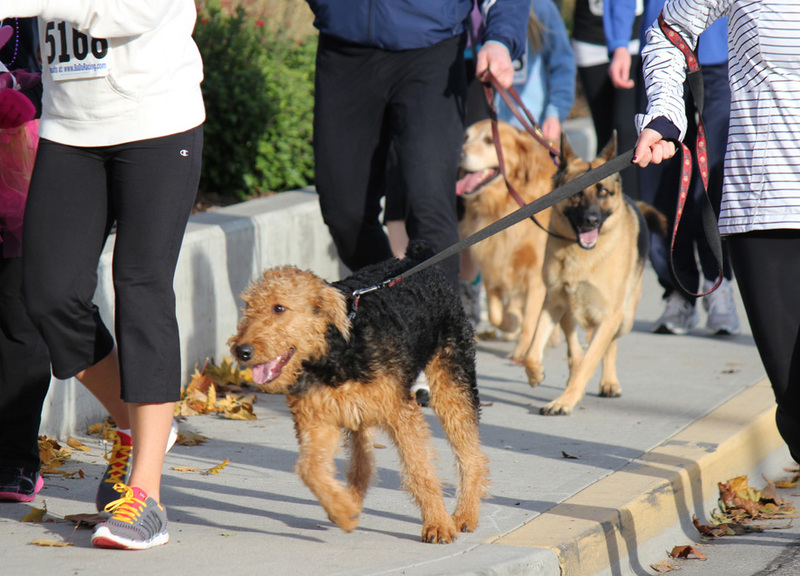 Turkey on the Run is pet-friendly!